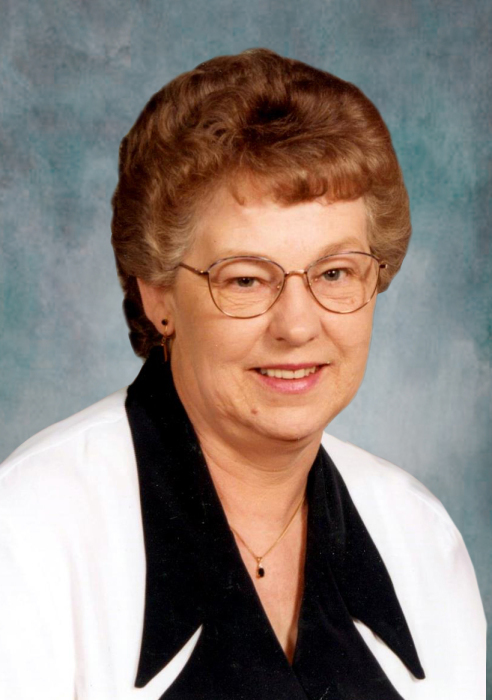 Carol A. Hodnefield, 75, Detroit Lakes, MN passed away peacefully Tuesday, March 26, 2019 at her home following a long bout of illness. Memorial Services will be held Friday, March 29 at 11AM in Zion Lutheran Church, Detroit Lakes. A gathering of family and friends will be held Thursday, March 28 at Zion Lutheran Church from 5pm until 7pm with a Prayer Service at 6:30pm. Visitation will also continue one hour prior to services on Friday. Carol Arlene Lehn was born July 10, 1943 in Pelican Rapids, MN to Peter and Gladys (Melkert) Lehn. She was raised on a farm near Erhard, MN, graduating from Pelican Rapids High School and later Ritter’s Beauty School. On August 16, 1963, Carol was united in marriage to Melvin Hodnefield and was happily married for over 55 years. Carol and Melvin moved to rural Vergas in 1967 where they raised their family. Carol was an active member of Zion Lutheran Church in Detroit Lakes along with the Becker County 4-H Program. She enjoyed dancing, card playing, quilting, tending to her garden, baking and most importantly spending time with her family and friends. Carol will be remembered and missed by her husband Melvin, their four children: Patrick (Jeanette) Hodnefield of Vergas, MN, Jackie Hodnefield of Rochester, MN, Donna (Patrick) Hoffman of Nevis, MN and Cheryl (Duane) Krause of Detroit Lakes, MN. In addition she is survived by her one sister, Patty Ouren, one brother, Ronnie Lehn and seven grandchildren: Michael Hoffman, Abigail (Zachery) Eifealdt, Zachery Krause, Joenah Hodnefield, Sarah Shockley, KayCee Rux and Jayson Moe. She is preceded in death by her parents, two sisters: Elizabeth Craig and Margaret “Peggy” Lehn along with three brothers: Charles, Roger and David Lehn.